A group of us pitched in at the Prescott Circus volunteer day on Friday. Jimbo and I provided some instruction on unicycle maintenance, and Dragon built juggling balls and painted stilts. 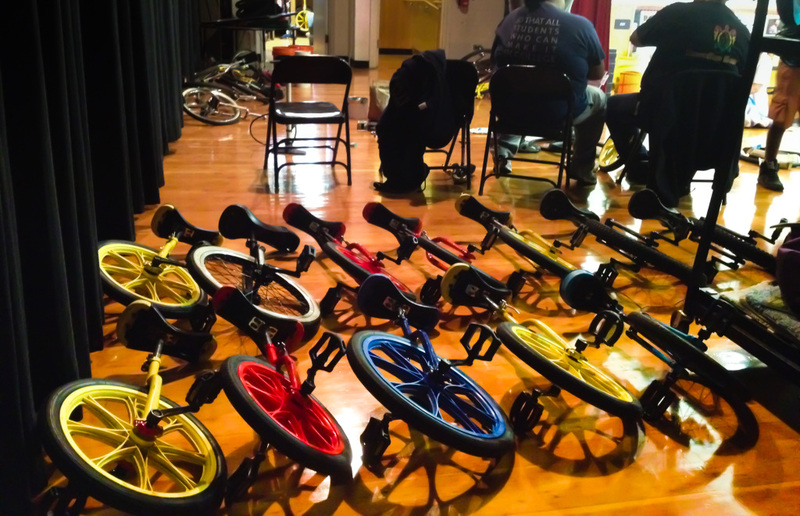 In the end, Prescott wound up with 12 more working unicycles. Good luck with them, kids!